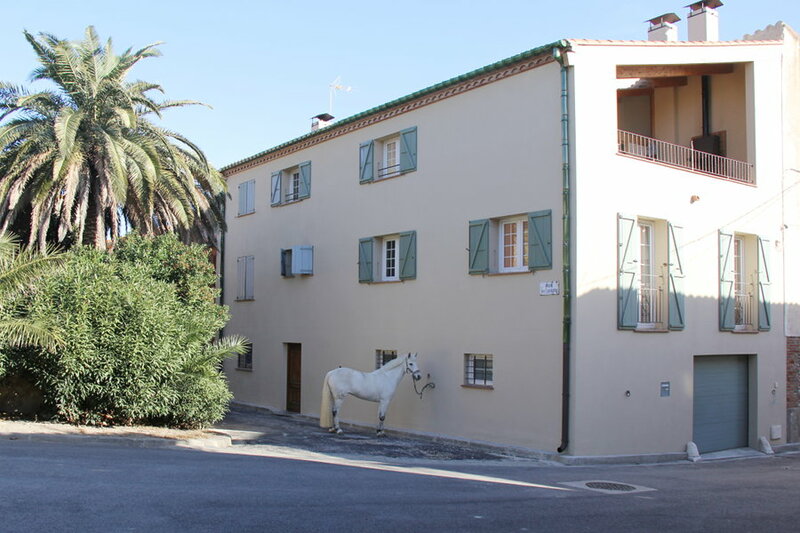 In the heart of Corneilla del Vercol, a typical Catalan village south of Perpignan, where Pierre Jonquères d'Oriola grew up, Laurence, his daughter, gives you a simple welcome in her big country house “The Stable of Champions”. As the name suggests, this building once housed large equine champions (Pomona, Alibaba or Lutteur B) with whom her father was crowned twice at the Olympic Games (Helsinki 1952 and Tokyo in 1964). From this unique environment emerges a special atmosphere that combines intimacy, closeness and friendliness; basic ingredients for any successful stay with family.